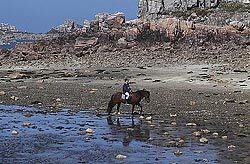 Brittany activities for brittany Golf holidays, water sports and much more. Brittany is a paradise for the sport enthusiast and nature lover, whether on the water or dry land. It's a well kept secret that there are many top quality golf courses in Morbihan. Then there is cycling, riding, surfing, sailing etc, etc! 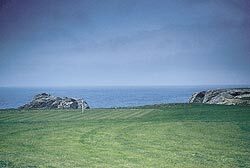 Some of the least crowded and most enjoyable golf in Europe is to be had on the many and varied courses across Brittany. With elegant clubhouses and comparatively empty courses, it's a golfer's idea of heaven! The department of Morbihan has its fair share, with 7 courses on the south western side. Here are some of the course details - the average green fees range from 25 e - 65 e and multiple-day Formule Golf Passes are available - contact the course. Par 72 is a favourite course in Morbihan. 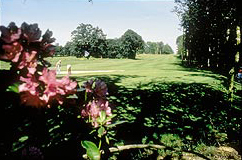 It hosted the French PGA Championship in 1988 and 1989. Its broad, fairways and well-kept greens set among oak, pine and chestnut trees make it a beautiful location. Par 72 is set amongst pine and 100 year-old oak trees with 9 holes strategically placed alongside the Auray River offering superb views while you play. A pitch and putt practice course welcomes all beginners. 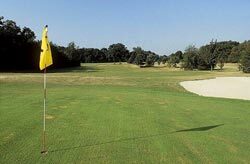 Par 73 is located near Lorient, and is another woodland course.It has a covered range and pitch and putt. Par 72 enjoys an elevated situation and many challenging water holes. Par 73 is an enjoyable links course with an attractive club house. Par 72 is a magnificent course, Chateaux clubhouse,and something of a legend in French golf. Brittany is truly a cyclistÃ­s paradise whether you are a touring cyclist or a mountain biker, all the roads of Brittany are accessible to cyclists and road traffic is surprisingly manageable. 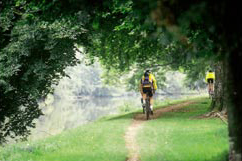 Several of the cycling paths or mountain bike routes cross through the forests and woods or along lakesides. Some of the Brittany islands are havens for cyclists because cars are banned from the islands. Crossing inland Brittany from east to west, a 360 kilometer pathway along the Nantes to Brest canal offers wonderful, largely flat tow paths to explore Ã± as well as the bars and crÃ�peries along the way. Initiated by Napoleon, the project to unite Nantes and Brest by an inland waterway was completed in 1842. There is also the well maintained River Blavet towpath which links some very pretty villages and towns. All within a 20 minute drive of Petit Guemene. Brittany is known throughout France for its fishing rivers and lakes. With a third of France's coastline, there is a huge variety of fishing, bays and estuaries to tempt keen anglers. 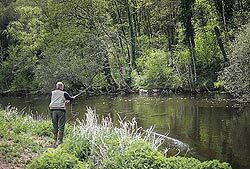 The River Blavet offers some of the best coarse fishing in France. Very few boats or barges use the Blavet and riverside access is usually open and easy in this slow-moving river there are carp, bream, roach, pike, trout and zander. 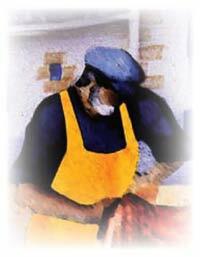 The local fishermen are friendly and usually willing to advise on the best fishing places. In the area, there are over 28 fishing rivers and streams, practically unused and all available to anyone with a permit. These can be bought locally and are very inexpensive. They are valid for one day (10Ã„), a fortnight (30Ã„) or a year (68Ã„). 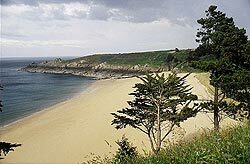 With over 2,000 kilometers of bridle paths, (signposted with orange markers) trails through the forests and beaches to ride, Brittany offers a diversity of riding challenge and duration, from one day outings to riding and camping experiences when using the regional bridle pathway. Le comitÃˆ rÃˆgional d'Equitation de Bretagne. 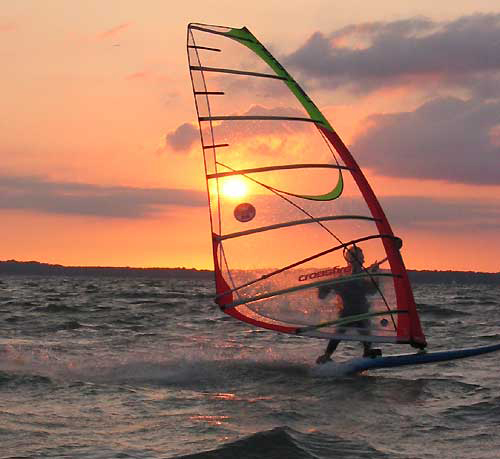 The choice of watersports is huge: dinghy sailing, sea kayaking, windsurfing, jet skiing, kite surfing, canoeing, body surfing, sand yachting, scuba diving, waterskiing, para-sailing, motor or sail cruising. Many sailing schools and water sports centers in Brittany offer dinghy sailing, catamarans, sail boarding and pleasure trips. 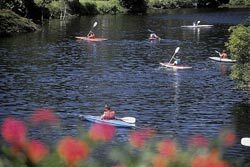 The Blavet river is great for canoeing and kayaking and is suitable for beginner or experienced canoeists. Sea kayaking is a great way to explore the rivers, inlets and estuaries of Morbihan, as well as to see more of the varied coastline. Surfing in Brittany is found in many places along this rugged coastline. The Quiberon Peninsula is a popular area for body surfing, kite surfing and windsurfing. Equipment and tuition is available to rent. Brittany is a fairytale world of myth and mystery, where walkers become acquainted with a land of valiant knights and enchanted places. 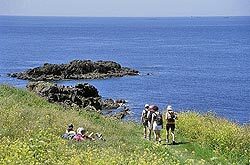 Rambling is a very popular activity in Brittany with its 2500 km of marked pathways to explore natural history sites, forests, chateaux and typical small towns, etc. Along the coast, customs officers placed markers on paths, towpaths and rural tracks of the interior, to intercept any illegal landing of goods and now they make these preserved areas accessible to walkers, cyclists or riders. 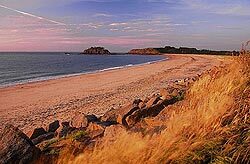 Brittany's greatest beaches are along the Southern Morbihan coast. There is a huge choice of white, sandy beaches, where you can enjoy swimming, sand yachting, waterskiing, windsurfing, snorkeling, kite-surfing, sailing or body surfing. Carnac with La Grande Plage and 4 other smaller beaches nearby stretching for over a couple of miles. These south facing beaches are all sheltered, benefiting from the areas micro-climate. Two of them - La Grande Plage and St. Colomban have supervised bathing in the summer season. La Baule is a stretch of beautiful fine sandy beach about 4 miles long, fronted by a very pleasant promenade. The bay is made even more attractive with the numerous, small offshore islands. 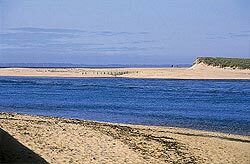 Just to the south of Carnac is the Quiberon Peninsula and Quiberon is the spot for windsurfing, surfing and sand yachting. Equipment can be hired nearby.